We had a jam packed weekend with DIY classes at Marson and Marson Lumber in Cle Elum and Leavenworth this weekend. 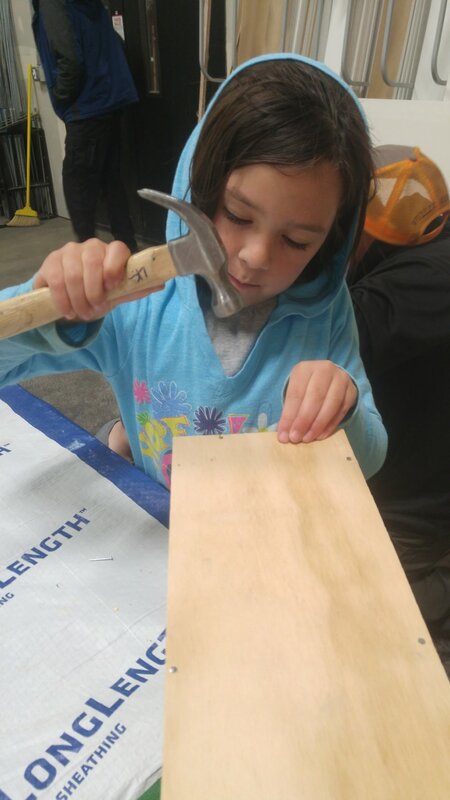 Over 50 women and kids learned and refined their woodworking skills! The ladies built address planters and learned the awesomeness of the Kreg jig for pocket holes. 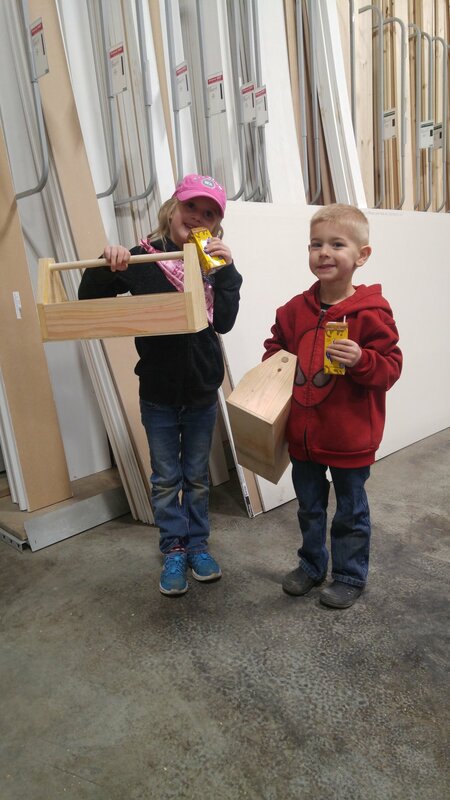 The kids built toolboxes and then loaded up with snacks for their projects at home! We can’t wait for the next round of classes in September! 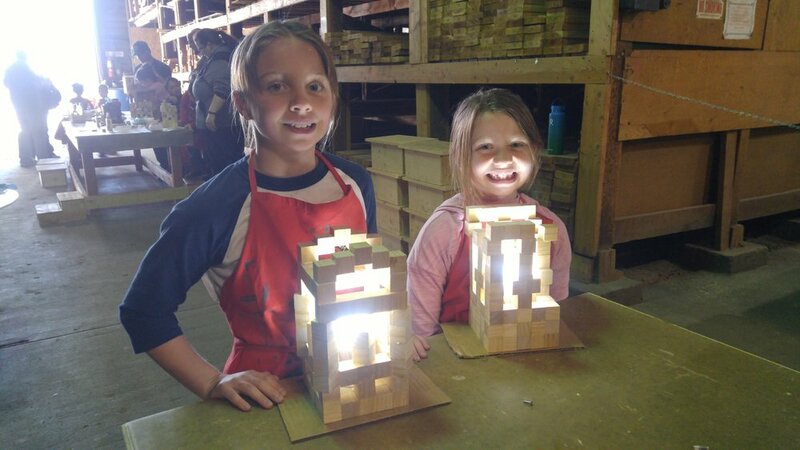 We kicked off our 2019 kids DIY classes at Tum-A-Lumber with a cool block lamp project in Hood River and Pendleton this past weekend. 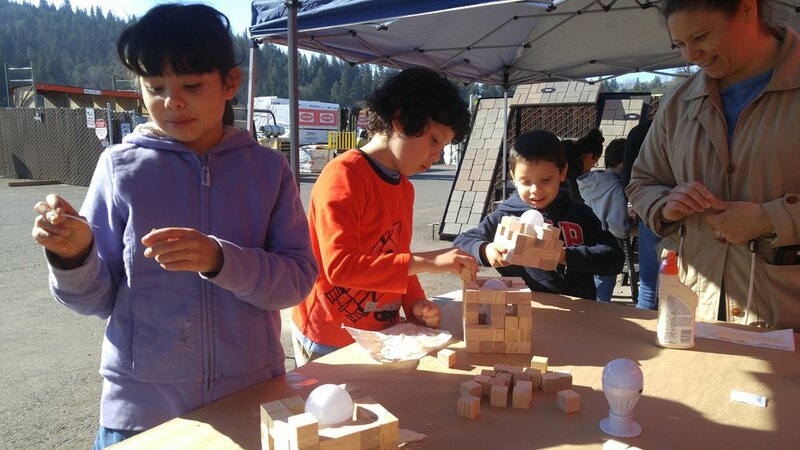 All together, 55 kids designed and built their very own lamps with 1” blocks! You can learn how to build your own lamp by checking out our DIY Projects page. Check our upcoming classes here! Check out this video we made with Tum-A-Lum Lumber about our upcoming DIY classes this year! 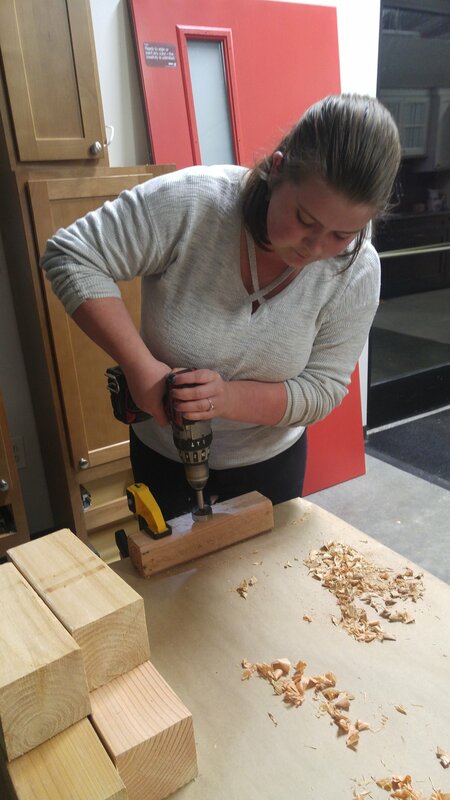 New Intro to Woodworking for Women Series! 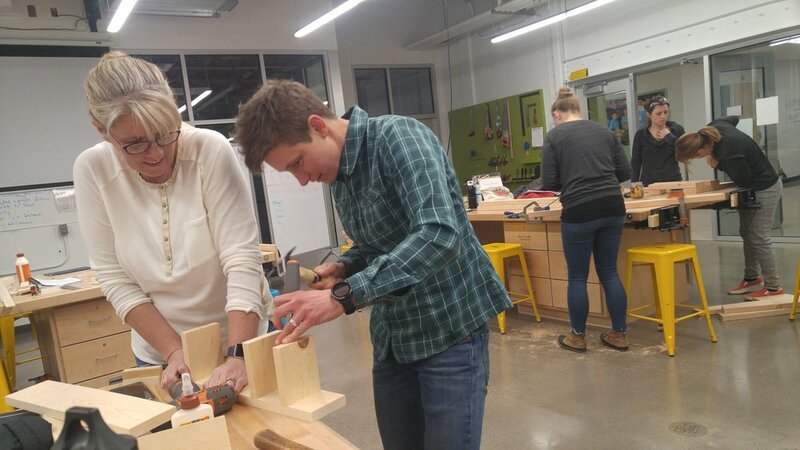 We are excited to offer our next Intro to Woodworking for Women series in February! Participants will build confidence and friendships while learning basic skills and tool safety to design and build their own projects. Space is limited to 12 participants and you can register by clicking the flyer above. We hope to make things with you real soon! Ladies Night @ Tum-A-Lum Lumber, Hood River! 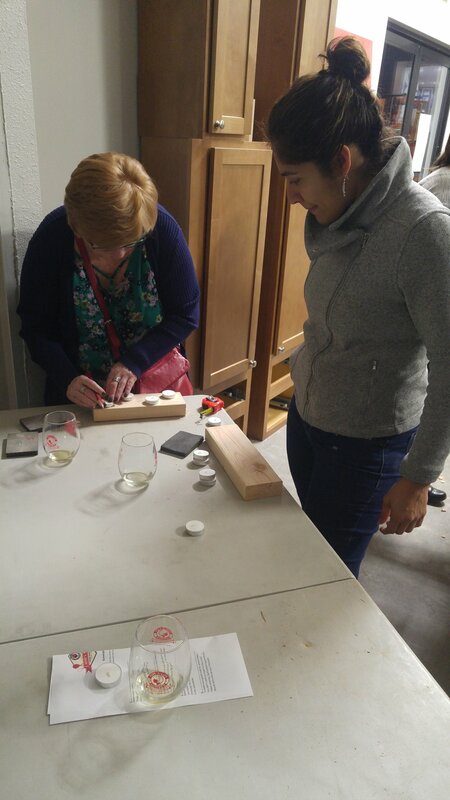 We had an amazing time at Ladies Night at Tum-A-Lum Lumber in Hood River last week! So many women came and made candle holders to take home for the holidays that we lost count. 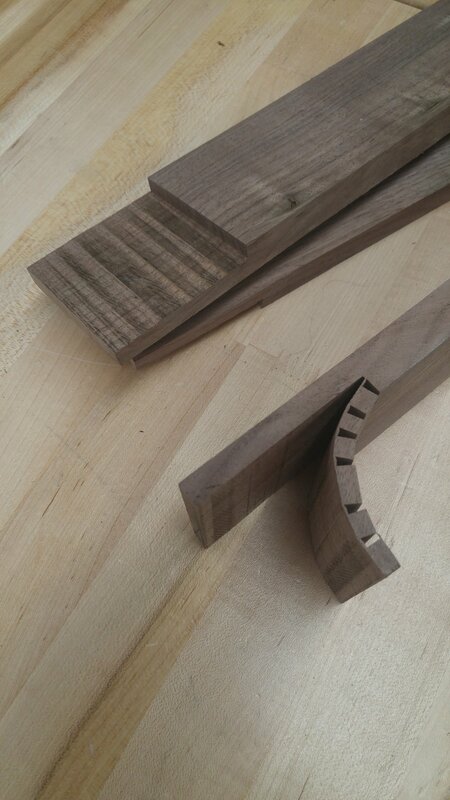 We went though almost 3 large totes of 2x and 4x wood scraps and burned out 2 Forstner bits! Luckily our cordless 18V Milwaukee drills held up to the challenge. And our Milwaukee friend lent us a power sander for the evening which was much better than hand sanding. Adding 2 of those to our wish list this year! 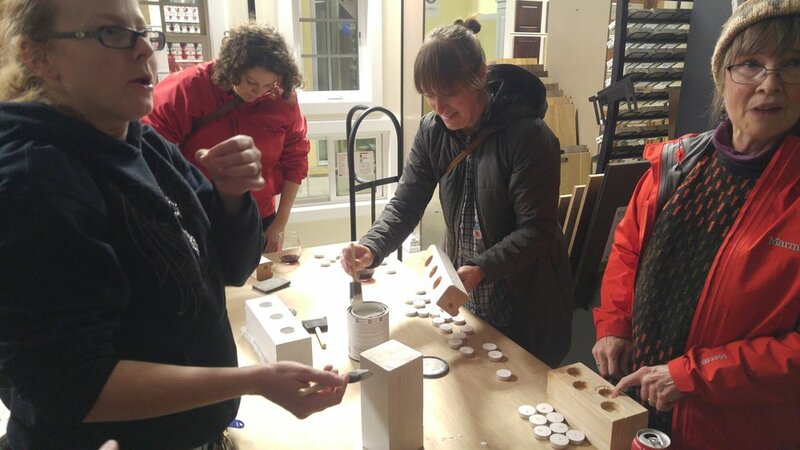 Our last workshops of 2018 at Tum-A-Lum Lumber in Hood River and Pendleton were super fun! With the help of adults, over 50 kids built bat boxes out of cedar to take home to provide homes for new bat friends. If you were unable to attend the workshop you can download the plans here and build it at home. We served over 400 kids this year and are excited to plan our 2019 workshops so stay tuned! We were so excited to be a part of the first ladies night at Marson and Marson in Cle Elum, WA! Over 100 ladies came to socialize, eat, drink, do a scavenger hunt and make tea light candle holders from wood. Ladies learned about drill settings and the difference between spade bits and Forstner bits. They sanded and then finished their projects with chalk paint which can be scuffed up when dry to create a rustic finish. Check out the photos below! 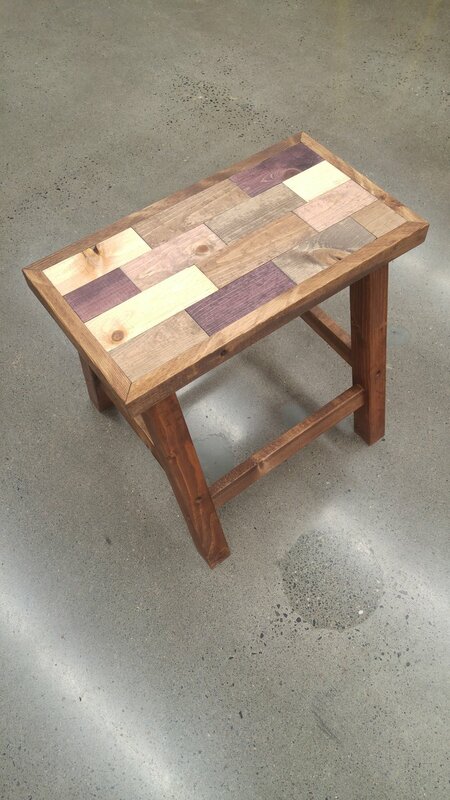 We had a blast this weekend at Tum-A-Lum Lumber in Hood River and Pendleton building step stools with 46 kids! Parents joked that they were having more fun than their kids. Perhaps, but I saw smiles all around with kids so proud of what they made. They took home skills of measuring, marking, predrilling, screwing, gluing, hammering, painting and staining. If you were unable to attend the workshop you can download the plans here and build it at home. Excited for next month’s bat house workshop!